Kigali, Rwanda (9 March 2016) – More than 150 global health experts from 29 countries are gathering for the 5th African Network for Influenza Surveillance and Epidemiology (ANISE) meeting in Kigali, Rwanda, from 9-11 March 2016, to encourage influenza research in Africa, bolster local access to vaccines, and share strategies and assessment tools for building efficient, standardised surveillance systems on the continent. Experts are using the Kigali meeting to promote African gains and forge a sustainable path forward for the ANISE network. Influenza virus infection is a major cause of morbidity and mortality worldwide. Many of the world’s most deadly epidemics have been caused by influenza. At particular risk of severe disease are young children, pregnant women, the elderly, and persons with underlying medical conditions. The burden and epidemiology of influenza have been studied almost exclusively in developed settings, but influenza may have a different epidemiology in limited-resource settings such as Africa due to untreated co-morbidities, malnutrition, and other factors. 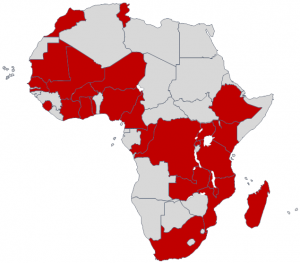 The African Network for Influenza Surveillance and Epidemiology (ANISE) was founded in 2009 to generate and disseminate such missing data and improve local preparedness for future influenza epidemics. The ANISE 2016 Meeting is co-convened by the Rwanda Ministry of Health, Rwanda Biomedical Center, US Centers for Disease Control and Prevention (CDC), The Task Force for Global Health, and the African Society for Laboratory Medicine (ASLM).